Tejano superstar Jimmy Gonzalez of Jimmy Gonzalez y Grupo Mazz died Wednesday morning. Eloy Leija, promotions manager for Freddie Records, said the Brownsville native died at 9:57 a.m. today at a San Antonio hospital. Leija says Gonzalez, who co-founded the group, had health problems related to diabetes. Leija says Gonzalez was returning to his native Brownsville following a show and stopped in San Antonio to see relatives when he became ill with low blood sugar issues and suffered cardiac arrest. Leija says Gonzalez was transported to Methodist Hospital. “It just happened this morning. His heart stopped and they brought him back to life,” Leija said. Gonzalez was transported to the hospital where he died. Leija said Freddie Records has been representing Gonzalez for 20 years. “It’s (his death) is going to be a big blow to the company. We are the only ones with the Tejano music. It’s a big blow losing someone like Jimmy Gonzalez,” Leija said. In February, KXTN-Radio reported Gonzalez was taken to the emergency room while performing in Mission after having problems breathing. Gonzalez had several record hits not only with Grupo Mazz but also with Joe Lopez y El Grupo Mazz as well. The two separated in 1998 with Gonzalez forming Jimmy Gonzalez y Grupo Mazz and Lopez forming Joe Lopez y La Nueva Imagen Mazz. Jimmy Gonzalez y Grupo Mazz enjoyed plenty of success. The group won Best Tejano Album four times at the Latin Grammy Awards from 2001-2004. 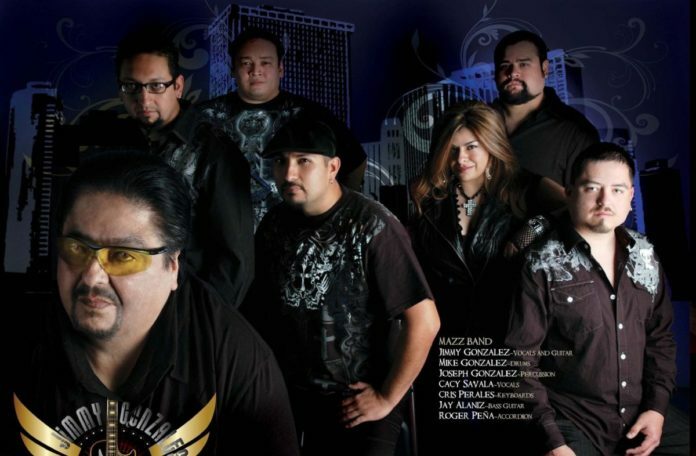 The group also won Best Tejano Album at the American Grammy Awards in 2004.